I always like receiving commissions and this was from my neighbour. She already has 'Viewpoint', the print of a goldfinch perched on top of a teasel and she wanted another to go with it, for her holiday house in Norfolk. 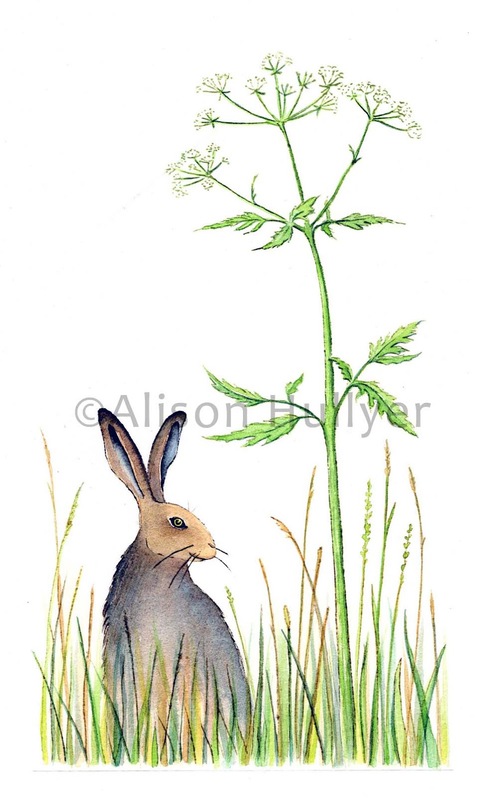 Hares seem to be more prevalent in Norfolk than in Cambridgeshire and we often see them when heading back from the coast. 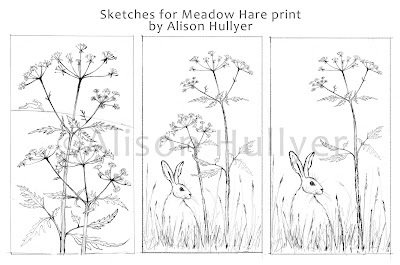 I've been wanted to do a new print with hares for a while, so this spurred me on. 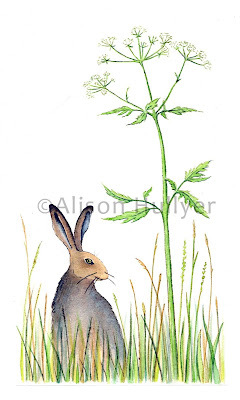 Cow parsley is one of my favourite subjects and I thought it worked well with the hare to create balance on the right of the design. I made the plate from a special type of coated board. It isn't very hard wearing so I could only print eight. For each print, the plate has to be inked individually which wears the lines away. Once the print is dry, I add watercolour by hand then sign, date and edition the print. 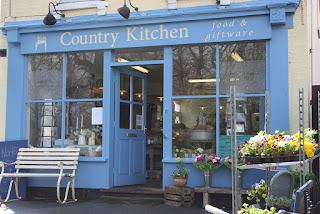 I am pleased to say I have another new stockist, a lovely food and gift-ware shop in the pretty village of Haslingfield, just outside Cambridge, called Country Kitchen. It's very easy to find, just opposite the church. They are now stocking my coasters, tea towels and greetings cards. 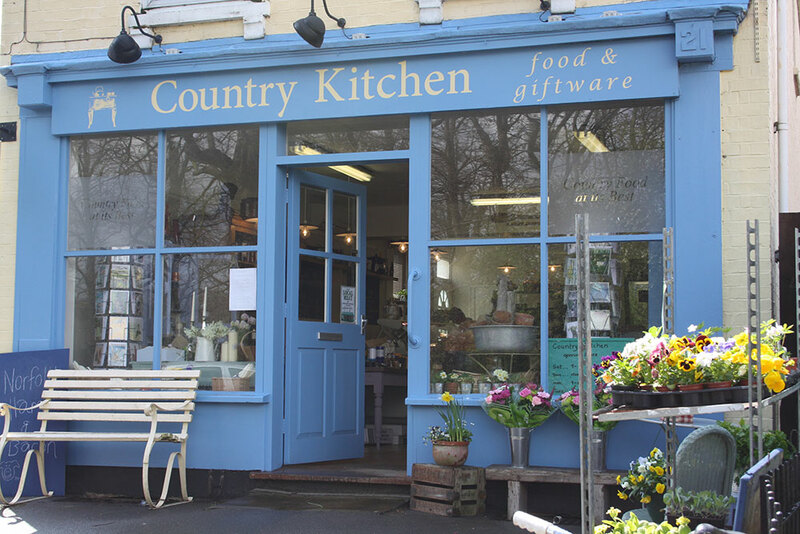 However, if today is anything to go by, I don't think I'll be making much profit from supplying them as I will be spending far too much on all the delicious produce they sell.